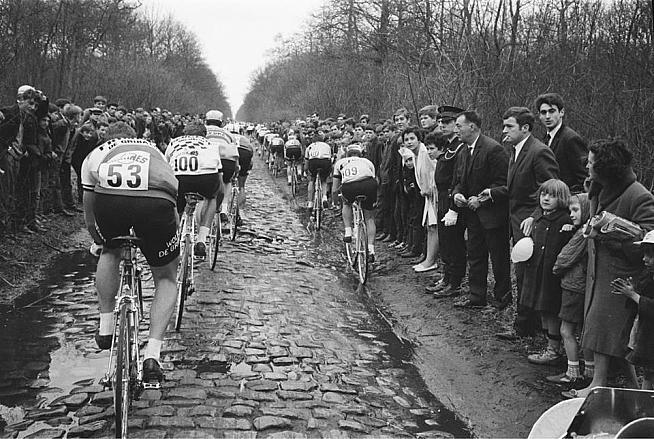 Thoughts of the end of winter mean only one thing to the cycling fan — the Spring Classics — cobbles, mud, bergs and beer. Thankfully, you don't have to cross the Atlantic to indulge a few Flemish fantasies. A raft of events has grown up in North America in explicit or implicit tribute to the Spring Clasics. You can channel your inner Merckx, De Vlaeminck, Boonen, Cancerella or Tyler Hamilton from Canada to California with the likes of the Hell of Hunterdon, The Belgian Waffle Ride, Harris Roubaix, Gran Fondo Ephrata and Battenkill. The races those riders won, the likes of Liege-Bastogne-Liege, The Tour of Flanders and the Amstel Gold, are the stuff of legends. The huge numbers that line the routes and tune in bear witness to the excitement generated as the hardest of pros battle over the famous pavé and climbs in often terrible March and April weather. France has the stunning peaks of the Alps and the Pyrenees, chateau by the dozen, the vineyards of Bordeaux, Roman aqueducts, the glamour of the Riviera, the vast beaches of the Atlantic coast, the beauty of Provence and the City of Light, Paris. La Grande Boucle, the Tour de France, finishes each three-week parade around France's splendors in the French capital and despite all of pro cycling's ridculousness and scandal the image of the yellow jersey winner on the podium in front of the Arc de Triomphe is for many people cycling. But that's the summer, Grand Tour season. Each spring a mid-sized town in one of France's less lovely corners becomes, certainly in the English-speaking world, shorthand for the brutally tough one-day races that for over a century have given us the excitement of the Spring Classics. For a few months Paris is merely half a race title, and the junior half at that. Nobody abbreviates Paris-Roubaix to Paris. It may by slightly strange that a French race is the symbol of the Spring Classics given their association with Belgium, but then again Roubaix sits on the Belgian border just 52 miles from the Belgian capital Brussels. Paris is over twice as far away. In Europe the cobbles of Northern France and Begium are now carefully preserved for cycling and protected from the road-laying machines while rural America and Canada are blessed with mile after mile of unsealed gravel and dirt roads to create a uniquely North American challenge. The choices this side of the Atlantic range from massive events like Barry Roubaix and Paris to Ancaster to small local rides, from free to pretty expensive and from relaxed to intensely competitive. Some sell out in hours, others you can rock up to on the day. Many adopt the terminology and imagery of the Low Countries — looking at you Roubaixes — or Italy while others are content to use the essential ingredients of the Classics, early season unpredictable weather, challenging surfaces and an emphasis on rider resilience. This year we have so many rides we have arranged them regionally to make it easier to digest. We've stretched the Classics season a little to accommodate some outliers and, as always, this is not a complete list so please let us know additions we should make. Battling on the Louisiana gravel of Rouge Roubaix. Credit: Rouge Roubaix. Four Roubaix a Strada and a Strade in the pack. 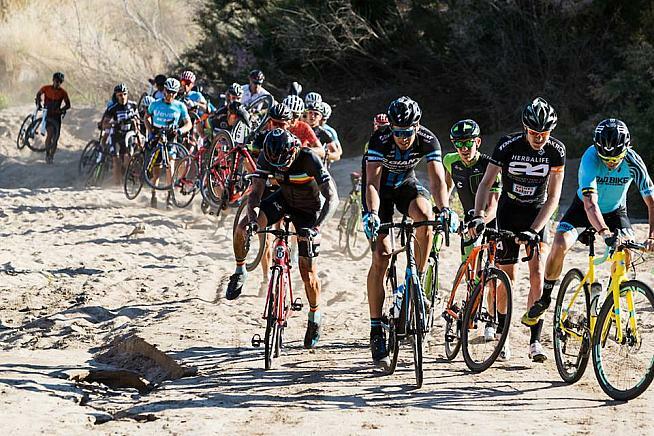 The Middle Georgia Epic lives up to its name with a 200km course, half of which is a mix of gravel, sand, dirt, and clay, the longest multi-surface road race in the state. There's also a metric century. 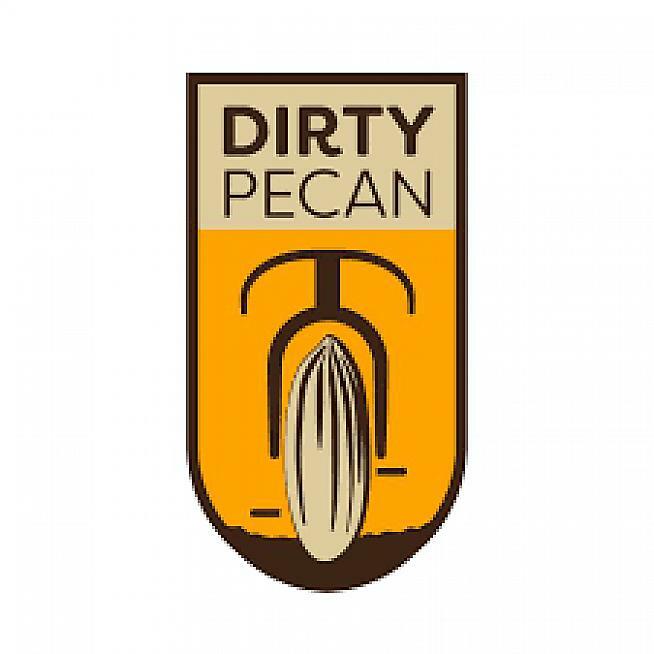 The Dirty Pecan recommends a cyclocross or mountain bike for its red clay and dirt as you wind through grand Southern plantations, oak canopies, farmland and pecan orchards. Pavement has been kept to an absolute minimum. The courses of 60, 80, 100 or 150 miles are free. In honor of Italy's Strade Bianche, the Stokesville Strade showcases a great variety of gravel, dirt and pavement on rolling Shenandoah Valley roads, making for a great early season event. Each year at noon on the day of the real Paris-Roubaix the Shenandoah Valley Bicycle Coalition hosts its version, the Harris Roubaix, on the smooth gravel roads to the NW of Harrisonburg. There are hills, some take it competitively, some don't and it's free to all. Strada Bellamy Sportif describes itself as the toughest road ride in NorFla. It is "not supported, not sagged, and not forgiving". At 207km it is not short either with 23 unpaved sectors totaling 125km. Rouge Roubaix in Louisiana is unlikely to see true Belgian weather, but the temperature can vary from freezing to 80 degrees and humid while the 106-mile course ranges from smooth tarmac to sandy gravel and the "plain bad". The weather determines the level of suffering at the Land Run 100 in Oklahoma. Heavy rain means thick red mud and crossbars on shoulders or it can be dusty and fast. The 1,000 places on offer sell out fast. North Carolina's Love Valley Roubaix promises "cheap thrills and 50 miles of leggy gravel" on beautiful winding dirt-packed roads. 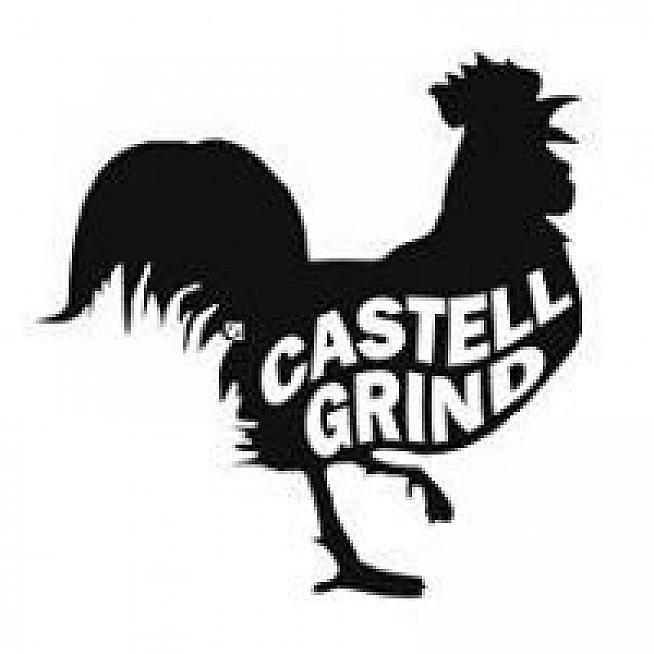 The Castell Grind (Read a Ride Report) on April 7 offers gravel grinding Central Texas style with miles of rolling hills on remote gravel roads in the middle of nowhere. The Bootlegger 100 boasts it is the most scenic and challenging dirt road ride you will do this year! With 10,000+ feet of climbing the challenging claim seems plausible. Procceds from Saluda Roubaix go to US Military Endurance Sports and if that was not a reason to sign up there a course incorporating "dirt, gravel, bedrock, farmland, timberland, countrified bridges, levees, rustic pavement, no towns and one specifically remote ball field" and the promise of Chimay Grande Réserve at the finish. One Semi-Classic, one Hell, three Spring Classics, one Fools, a Fleche and Battenkill, which began as Battenkill Roubaix. The Sourland Semi-Classic around New Hope, PA, is a tribute to the less famous Belgian second-tier classics. Organizer Brian Ignatin of Kermesse Sport, which takes its name from a traditional Belgian village festival, is also responsible for the Hell of Hunterdon (Read a Ride Report) named to granfondo.com's Top 10 Gran Fondos for 2018, the Fools Classic and the Fleche Buffoon (Read a Ride Report) on the roads and gravel of New Jersey and Pennsylvania. 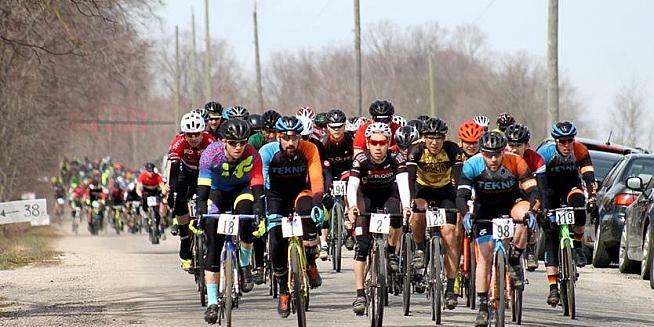 In the same neck of the woods, Marty's Spring Classic promises dirt, sweat and beers, and to showcase the best - and least treaveled - routes in northern New Jersey. 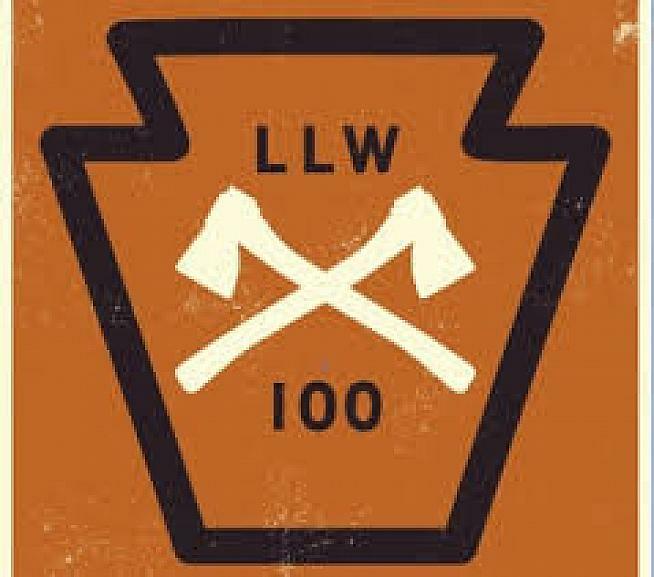 Ride 70 or 40 miles of farm roads, scenic climbs and dirt. 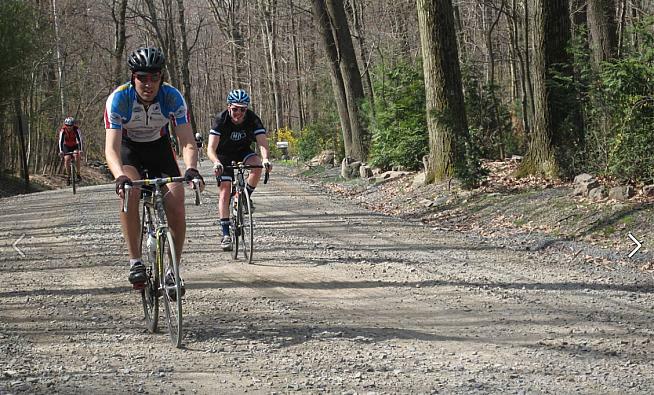 The Tour of Battenkill (Read a Ride Report) use the gravel roads of the Battenkill Valley in New York State to mimic the pave sections of Paris-Roubaix. Under new management this year, the licensed racing is gone and it has moved back to April. 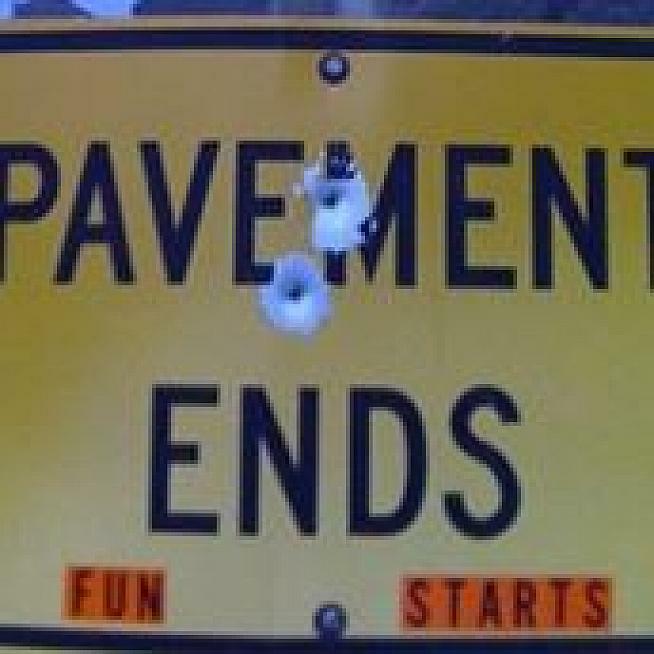 The Vermont Overland offers seven sections of "Vermont pavé" (Read a Ride Report). 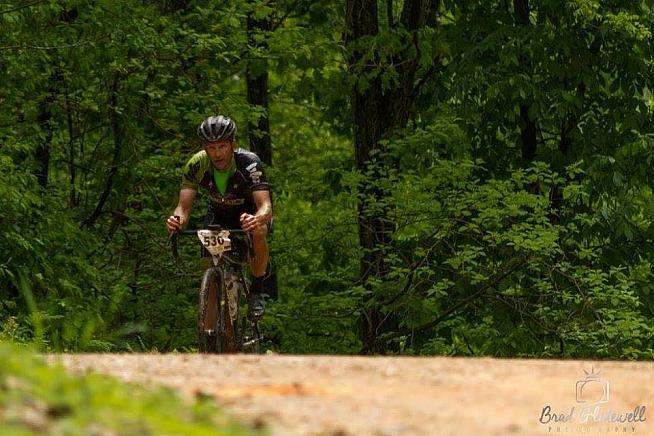 The Green Mountain state also plays host to Rasputitsa, (Read a Ride Report) which features Yetis, maple syrup shots and, of course, Cyberia, and the Muddy Onion Spring Classic Dirt Road Ride with its "beautiful, scenic and iconic dirt roads". One Roubaix, a Strada Rossa, and a Belgian Waffle. Gorge Roubaix promises fast rolling hills on smooth, well-packed gravel roads with vistas of Oregon's Cascade Mountains if you have the energy to look around. Four weeks later, the Oregon Coast Gravel Epic is an even split of unpaved logging roads and tarmac. The 60-mile Abomination is aptly is named with over 6,000 feet of climbing. To the north, Gran Fondo Ephrata has become a Pacific Northwest "spring classic" with 80 miles of primitive central WA back roads and 5,000 feet of climbing. "Come prepared to be unprepared." A month later, Gran Fondo Goldendale is a sister event to GF Ephrata with a little less dirt and a little more climbing in arid Central Washington. Farther South, California is home to the Belgian Waffle Ride and the Redlands Strada Rossa. Nothing wrong with an Italian angle given that Milan-San Remo kicks of the Spring Classics and Tuscany's Strada Bianche in early March is growing in importance rapidly. 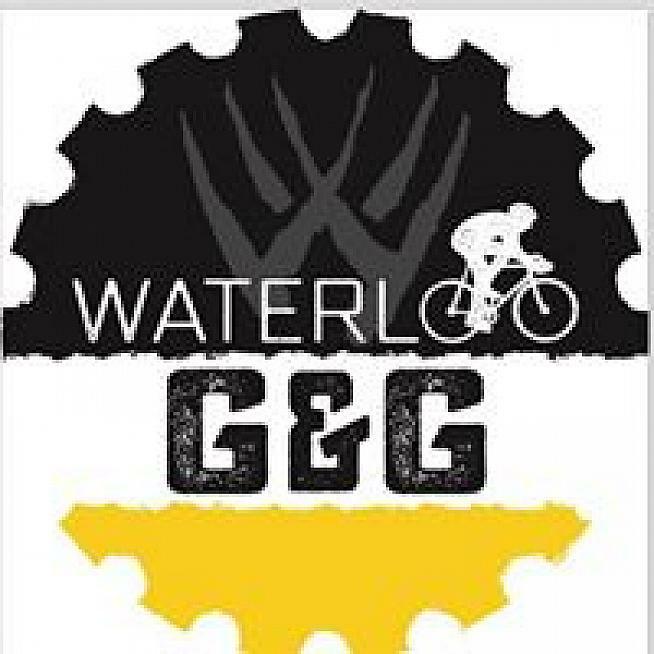 The Waffle Ride -- "the Country's Most Unique Cycling Event" -- shouts its Belgian inspiration and is a monster with 17 dirt sections across 140 miles and 13,000 feet of climbing. 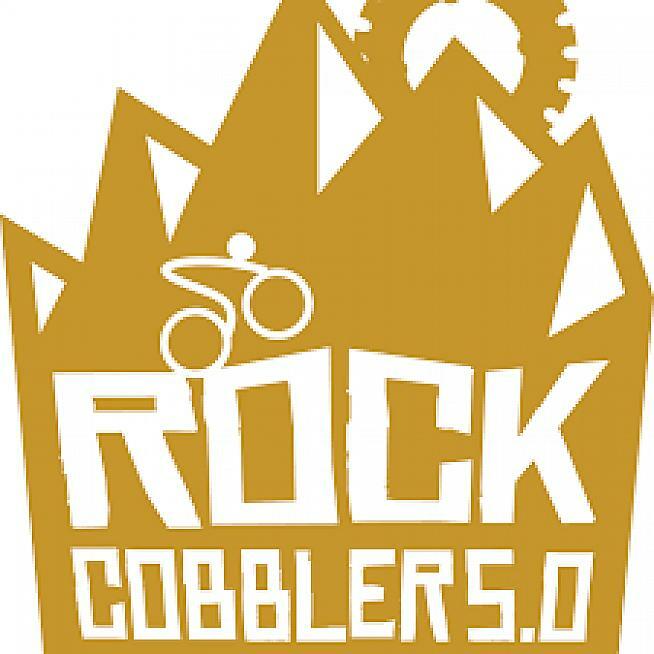 The Rock Cobbler describes itself as "a stupidly hard ride bordering on a race" so you know what you are getting -- 90+ miles and 6800ft+ of elevation with asphalt roads, trails, private land, a river, a creek and a brewery. The rock theme continues with Fish Rock from BikeMonkey with its 72.4 miles and 9,670 feet of elevation gain. "This ride is not a joke. Every crazy thing you've heard about Fish Rock Road is probably true, or in some way related to something that is true," state BikeMonkey. Six Roubaix, Paris to Ancaster and L-M-L. Even Belgians might blanche at the "spring" conditions up North. I don't think Liege-Bastogne-Liege ever warns about wild pigs, but that is one of the factors at Rocheport Roubaix in Missouri. If you dodge the porkers there's gravel racing at its finest with rolling hills and views of the Missouri River. 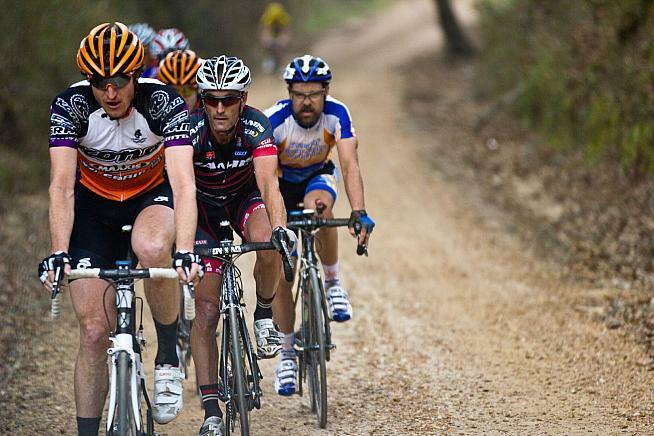 The Dirty South Roubaix evolved from a tradition of large group rides in the non-flat southern tip of Illinois. 2017 saw the first formal event and it was such a success it is back. The 20,000-acre Waterloo Recreational Area, lower Michigan's largest park, is home to the Waterloo Grit and Gravel. Most of the roads will be dirt and rock. Mud, ice, and snow is a possibility. "Expect to get dusty. Expect to get grimy. Expect to have the time of your life!" On the same day as G&G is the Road Apple Roubaix in the Amish country of Ohio. Dodge the emissions from the Amish buggies as best you can while tackling dirt, pavement and a good few climbs. For anyone who wants a challenge, the Lowell 50 serves up courses of 110, 34 or 15 miles in Michigan's rural Ionia County on approximately 90% unpaved roads. It holds itself up as a classic old-world style grave road race. 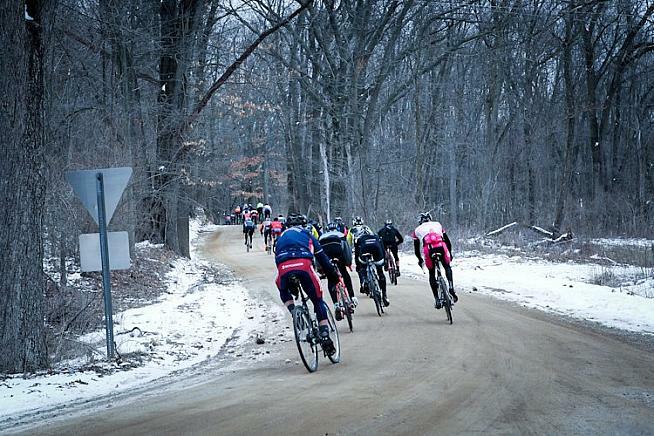 Also in Michigan, "like the classic it's named after, Barry-Roubaix will test riders against (80%) rolling gravel roads, pavement, one mile of rough two track, rocks, sand, mud, and possibly snow and ice", is the warning (or is it a challenge) issued. 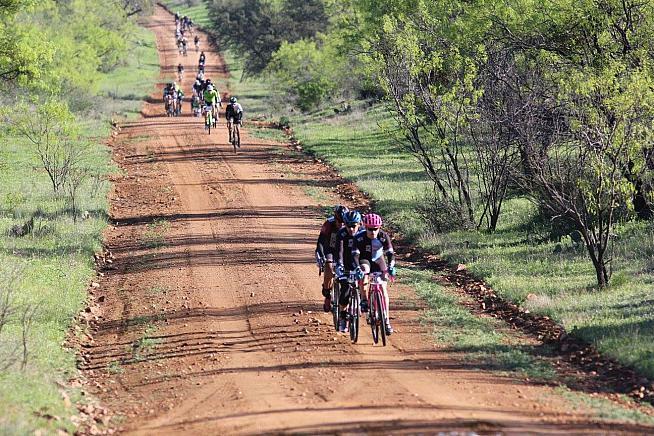 Entries are capped at 3,500 for the "largest gravel road race in the world". 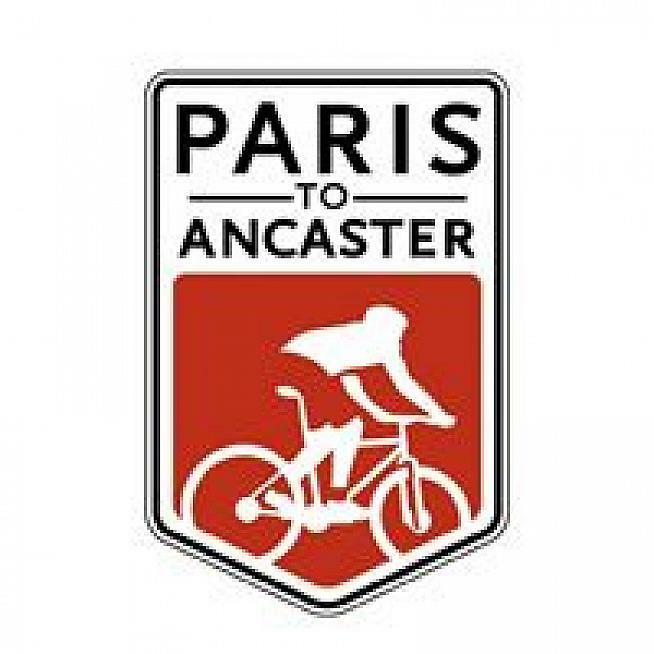 Paris to Ancaster, "Canada's Spring Cycling Classic", (Read a Ride Report) is a 70km ride that does everything it can to pump up the hardness factor to Paris-Roubaix levels. There are a number of mud sections that see most riders shoulder their bikes. Earlier in April on the 8th, and thus even more at the mercy of the weather north of the border, is the wonderfully named Steaming Nostril (and the shorter Runny Nose). Minnesota hosts Lakeville-Milltown-Lakeville, which pays homage to L-B-L with its out-and-back course. Capped at 100 riders, it has a noble charitable purpose and the advice to bring flares for rescue is a joke (probably). Dairy Roubaix and Cheesehead Roubaix are in Wisconsin as you might expect. The former in the southwest of the state is free for the field of 500. The latter is a cyclosportive in the style of the cobbled Classics with a sixth of its 63 miles on dirt and gravel. No matter which event you choose and whether you are on a road, cycloross or, horror, mountain bike, ride fast, take chances and be Belgian.